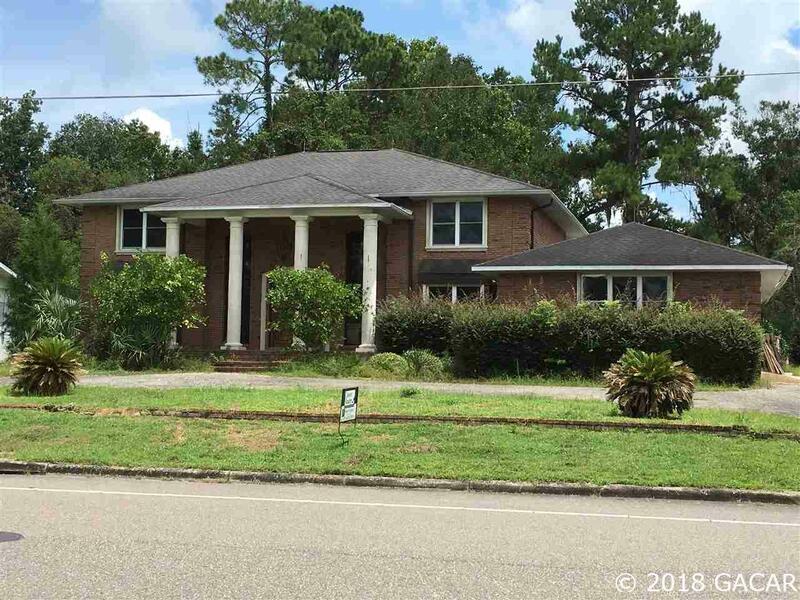 Large, stately home with a gracious front porch sitting on .45 acre and backing to the 12th hole of the Gainesville Country Club (GCC) golf course. 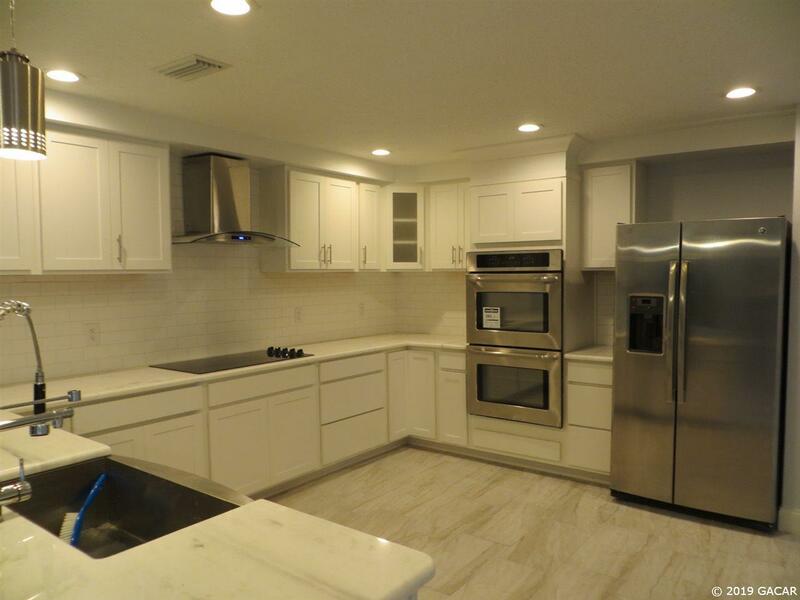 Stainless steel appliances, granite counter tops with the look of marble but more durable, 5-burner electric stove-top, double oven, farm sink, and custom cabinets make the kitchen a great place to prepare meals. Downstairs has a full bath convenient to a room that can serve as a bedroom, a sunken living room/family room with a wood burning fireplace and adjoining bar, flex space with double closets that could also serve as a bedroom, a dining room, half bath, laundry room, a large screened porch and a spacious marble-floored foyer with a double staircase leading to the second story. Upstairs is a large master bedroom with en-suite bath, fireplace, and small porch, and two other bedrooms and a bath. 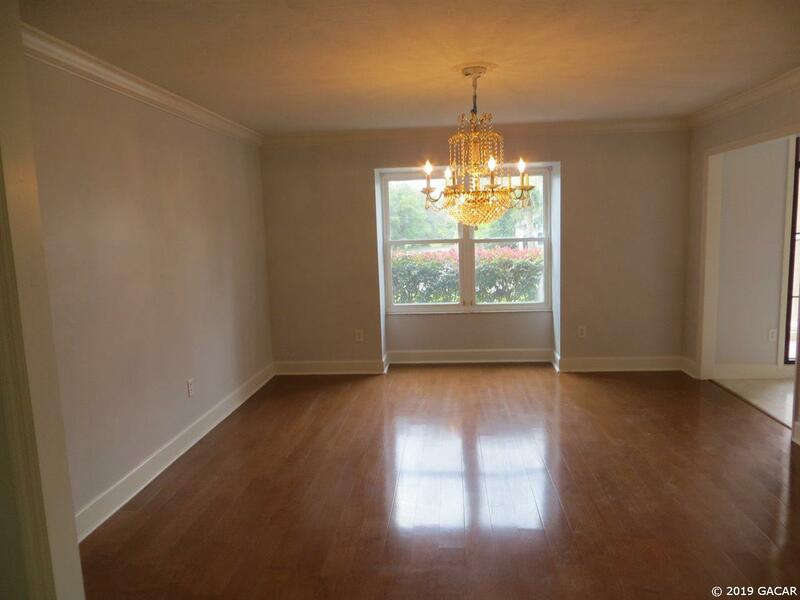 Convenient location close to I75, shopping, UF, Shands, the VA, Nationwide, and, via Williston Road, downtown and the airport. 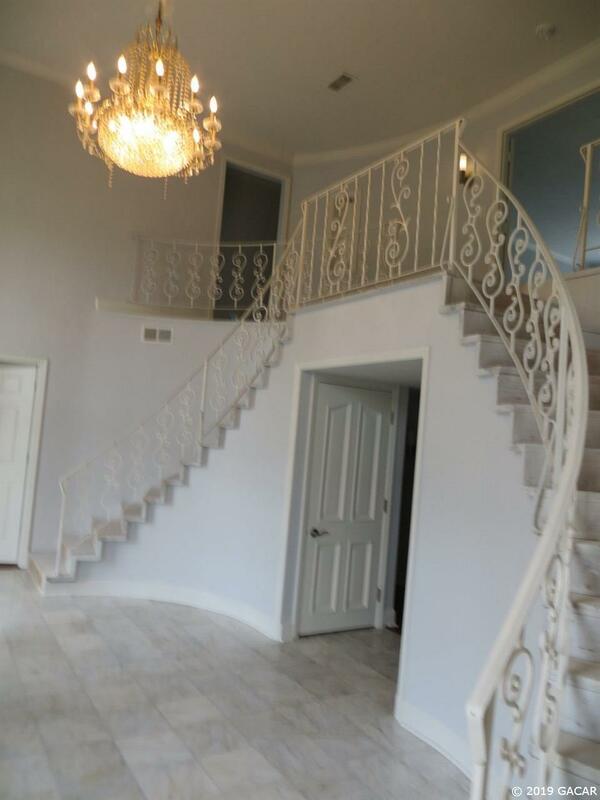 Super house for entertaining, and lots of room for guests coming for football weekends. Home is currently being updated, and still needs work. Seller will consider offers in "as-is" condition. Construction is in process. RV's and boats are OK in GCC.